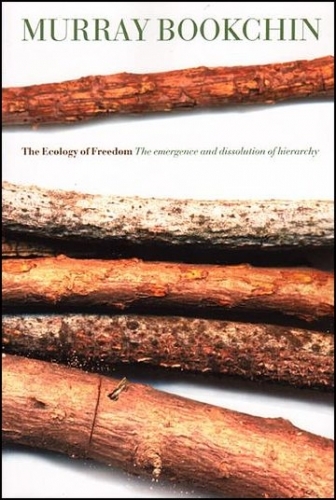 Murray Bookchin’s The Ecology of Freedom was a book about anarchism. It just didn’t call it that. We live in a perpetual reckoning. It’s a strange place in some respects, and not very forgiving. It’s a place where everything is counted, everything is measured, billed, quantified. I’m talking, of course, about the digital space that we inhabit today, where our politics and our societies function and grow, where our families meet, our groceries are procured, and our priests broadcast Mass. This new mode is seductive. There is some comfort in its predictability, in its constancy. It is the ultimate arbiter of fairness: the data doesn’t lie, that is our assumption. All people are judged equally, irrespective of age, gender, sexual orientation, race, religion or nationality. Ron Day’s work on Indexicality – Indexing it All – defines our new existence as homo documentator, man as document. ‘[D]ocumentary indexing and indexicality play a major and increasing role in organizing personal and social identity and value and in reorganizing social and political life,’ Day says. Hobbesian rationalism (‘What is the heart, but a spring?’) trumps Aristotelian dualism, and formed the basis for the Enlightenment. In architecture and urban planning, the space within which we were to live was designed in the early twentieth century (and re-designed in Europe after the second world war) by brutalist modernists like Robert Moses and LeCorbusier. Men of power and strength who imbued cities with confidence and concrete, steel and indefatigability. Their insistence on the dominion of man (and it was truly of men) set the foundations for great cities, with wide roads and tall buildings that dispensed with the inconvenience of rivers and hills, through engineering and technology. In our comfortable, predictable, rational lives, however, there remains a nagging uncertainty. Just as you’re driving away from the house, thinking to yourself there’s something I’ve forgotten. Jane Jacobs’ response to Robert Moses (1961) was an insistence on ecological thinking in urban planning, not merely a feminist response (which it undoubtedly was), but a more qualitative and less quantitative approach. It was less about power, and more about being. One could almost postulate Jacobs and Moses in the roles of Heidegger’s Being and Time, respectively, which are in one sense the same thing, and yet in another entirely rejecting comparison. Schumacher’s Small is Beautiful (1973) and Roszak’s The Making of a Counter-Culture (1969) crystallized an anti-establishment sentiment, and Murray Bookchin’s The Ecology of Freedom in 1981 set this reactionism in an anarchist context. Anarchism, of course, should not be confused with chaos. As a political idea, anarchism has – to quote Peter Marshall – had something of a bad press. Anarchism is no rejection of order, it is a rejection of hierarchy; but the establishment has self-preserving instincts, or perhaps more accurately change-resistant instincts, that recoil against such structural upheaval. Big Data systems require hierarchy, and harden the hierarchies that exist. Yet at the same time there is an implicit paradox in Big Data systems: the people within whom power is invested become less relevant as Big Data machines assume greater control, less useful to the system as a whole. Therefore it is possible that the change-resistant instincts of the establishment may be nullified if the power loci shift from politicians to machines. Will that herald a rush to ecology? Shall we all become green again? Shall we rehabilitate anarchism as a concept in our search to evade the dullness of the machine?